School is starting again — and it’s never too early to think about your application for the next internship or your first job. That’s the focus of our current issue of Campus Connection. 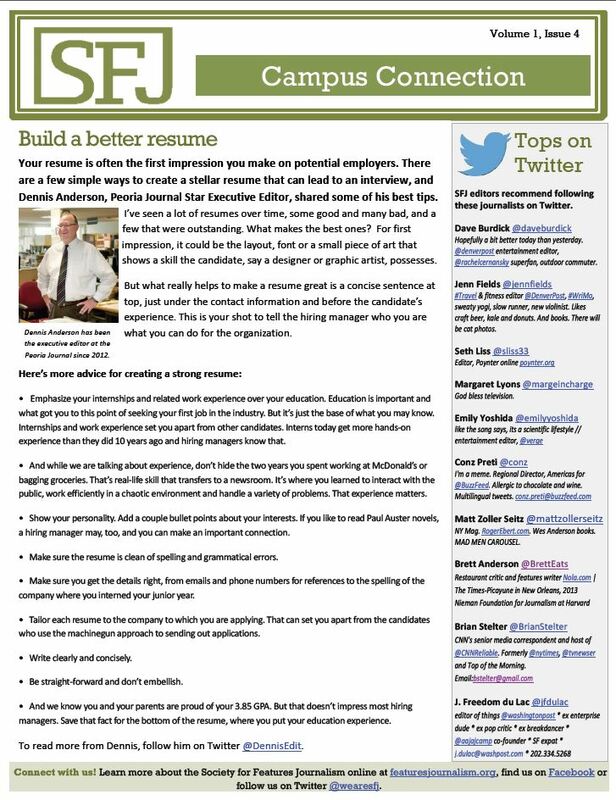 We talk to Dennis Anderson, executive editor of the Peoria Journal Star, about what types of resumes catch his eye and what impresses him. Think of it as your Twitter bio, but serious. This entry was posted in Newsletters and tagged campus connection, college, resume. Bookmark the permalink.